How Can Schools Improve Students' Self Esteem? 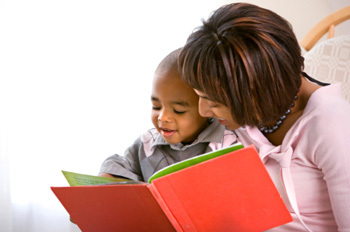 An important component of a child's ability to learn is a sense of self-worth and self-esteem. Keep reading to find out ways that you can help to improve the self-esteem of the students in your class. In What Ways Can I Help My Students' Self-Esteem? Of course, self-esteem begins at home and, as an educator, you only have your students for a few hours a day. Every student has a family, friends and a life completely separate from anything that happens in your classroom. However, this does not mean that you can't affect the self-esteem of your students for the better and thereby help them get more out of their educational experience. Self-esteem is the value that a person applies to his or herself. Self-esteem is the base upon which every child builds everything they are. A child's self-esteem can sometimes be one of the most important aspects influencing who he or she will be in adulthood. For this reason, it can be essential that building self-esteem is a part of a child's education. What Are Some Self-Esteem Methods I Can Use in the Classroom? By creating a positive, supportive environment where students receive individualized attention, you can help improve your students' self-esteem. When your students feel valued by their peers and by adults such as yourself, they often feel better about themselves. Whether or not your students feel this positive energy can sometimes even make or break your classroom environment. One way of increasing self-esteem is by recognizing student achievement. Look for different ways to recognize your students in order to address all types of success. For example, you can recognize academic, artistic and athletic ability in addition to good citizenship. You can also improve students' self-esteem by being available for extra help and support. Students who are struggling with schoolwork may feel helpless and inadequate. If you're available and willing to provide help and support, your students will have the opportunity to be more successful and confident. When possible, stay in close contact with students' parents or guardians and advise them on techniques to strengthen self-esteem at home. What is Team Building and How Can It Help? Team building is a series of exercises and activities you can use to help your class have confidence in themselves both as individuals and as a social group. Team building typically helps children to fit into a social dynamic and relate to peer groups in a positive way. Children learn to relate to one another, whether they are competing or cooperating. When a child is able to express his or herself socially, it can be a huge step for building self-esteem. Team building activities can give your students a sense of belonging and importance as well as improve student relations. There are many websites where you can find ideas for fun, team-building activities. Some activities can be completed in any type of class and grade level. Louisiana residents without a high school diploma can find satisfying career and college opportunities after earning General Education Development (GED) certificate. Let this article be your starting point for a brighter future.